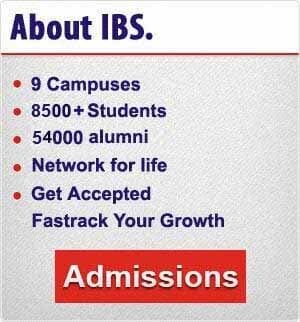 The growth of IBS Mumbai is a saga of development which gives us hope for future to realize our vision of becoming the ‘Wharton of the East’. Anil Industries Katni Pvt Ltd.
Asian Business Exhibition and Conference Ltd.
Deloitte Shared Services India P Ltd.
HGS International Services Private Ltd.
Integreon Managed Solutions [I] Pvt. Ltd.
RJ Capital Services Pvt. Ltd.
IBS Mumbai distinguishes itself by the quality of the leaders it produces. Ranked among the top 5 business schools in the Western region, IBS Mumbai was established in 1995 to promote quality management education, research, training and consulting. A library with an extensive collection of over 28,000 books, 13 International and 92 National journals and magazines and more than 2,000 CDs. It subscribes to 8 major online databases. A national management event (Konflux) is organized every year, where teams from B-schools from all over India participate. Prof. Y.K.Bhushan has been the Senior Advisor & Campus Head of IBS Mumbai for over 10 years. He holds M.Com Degree from Delhi University, MBA from Indiana University, USA, earned on the coveted and competitive Fulbright Fellowship, and Certificate in Research Methodology from Institute of Economic Growth Delhi. He has been in the field of Education and HRD for 59 years starting 1957. He taught at Shri Ram College of Commerce in Delhi for over 13 years. He was a Senior Professor at Vaikunth Mehta National Institute of Cooperative Management Pune for two years and took over as the Principal of S.P. Bankers Training College of Central Bank and Dena Bank and served there for 10 years. Prof. Bhushan was Assistant General Manager HR in the central office of Central Bank of India for two years. He moved over to Management Education at the MBA & Doctoral level as the Director of Narsee Monjee Institute of Management Studies for sixteen years and as Director General for two years raising NMIMS to a level where it could become a deemed University. In 2002 he took over as the Senior Advisor & Campus Head at IBS Mumbai. 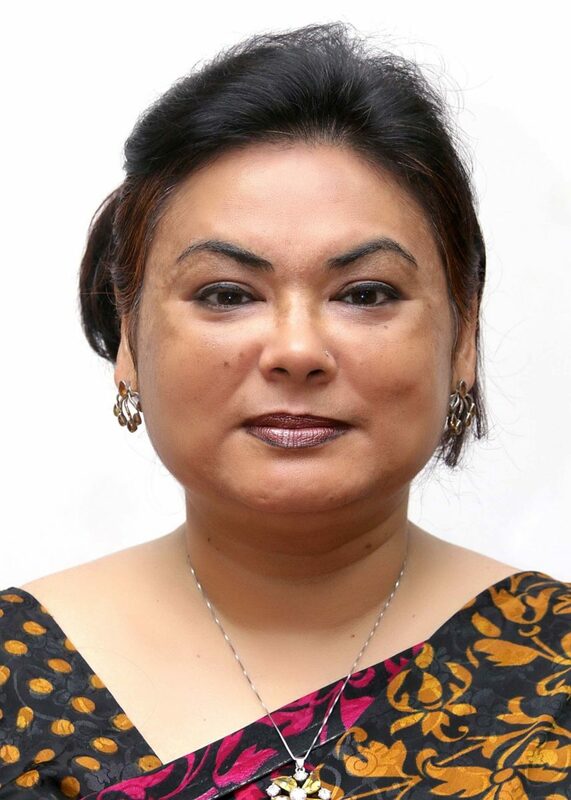 He has served concurrently as the Vice Chancellor of ICFAI University in Meghalaya and has been appointed as the Chancellor of ICFAI University, Nagaland by the Governor of Nagaland. He is also the Chairman of Federation of Universities of ICFAI and Chairman of ICFAI Alumni Federation. As a Senior leader in the field of Management Education he has been the President of Indian Society for Training & Development, Association of Indian Management Schools (AIMS) and of Association of Management Development Institutions in South Asia (AMDISA). He is President Emeritus of ISTD, Ravi Mathai Fellow of AIMS and is currently the Chairman of SAQS Council (South Asian Quality Systems) of AMDISA. He is the Honorary fellow of Indian Institute of Banking and Finance, ISTD and Institute of Management Consultants of India. As a trainer Prof Bhushan, was involved with over hundred companies in Training and Management Development Programs. On the international front Prof. Bhushan forged a link between NMMIS and Sterling University in UK and has participated in all Global Management conferences held every four years. He is also a Senior Enterprise Fellow of University of Essex, UK and has served the Fulbright Foundation on their selection panels. For 2 years,he was the President of Fulbright Association of Mumbai. Prof Bhushan has authored over a dozen books in Commerce and Management. 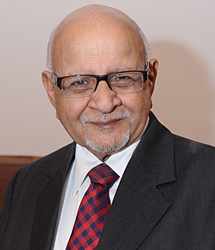 He is particularly reputed for his first book on “Fundamentals of Business Organization and Management” which is now into its 50th year of publication. He has also brought out his collection of papers on Entrepreneurship, titled “People, Technology and Entrepreneurship”. Having spent over three decades directly in MBA level Management Education,Prof. Bhushan has been honored with several Life Time Achievement Awards and was the recipient of the prestigious ‘Qimpro Quality Award’ and ET award for ‘Legendary Contribution to Education’. On Teachers day September 2015 Narsee Monjee Institute of Management Studies honored Prof. Bhushan by naming their main Library in the School of Business Management as “Prof. Y.K. Bhushan Information and Knowledge Resource Centre”. Prof Bhushan was a member of Academic Council of Mumbai University and served on the Board for Management Education of AICTE.He has been a member of the Governing Board of Indian Institute of Banking and Finance for over 16 years. Prof. Bhushan has been a guide to many Research Scholars for Ph.D at Mumbai University and an evaluator in some other renowned universities. MSc, PGDBM. Pursuing PhD in Management from Narsee Monjee Institute of Management Studies, Mumbai. Management with major specialization in Marketing,PhD. Masters in Computer Application and B.Sc. Mathematics degree. Financial Risk Manager Certification from GARP,Certificate in Quantitative Finance from CQF Institute, UK,C F A from CFA Institute, USA,C F A from ICFAI, India. MDBA in personnel management,Bachelor’s degree in education, Masters in Sciences,Post graduate diploma in training and development from ISTD, Delhi. B. Com, M.A. (Economics), PhD.